A new study looked at public opinion of scientists in the U.S. They found that while scientists are perceived as being honest, they are also seen as robotic and lacking emotion. From my own experience I can certainly understand why. Of all the characters in the Marvel universe, the one I most strongly see in myself is Bruce Banner. Talented, but shy and withdrawn, and always wary of his emotions, lest they let loose the Hulk within. I’m willing to bet I’m not the only scientist who feels this way. Feelings are understandable, but science requires evidence beyond personal experience. Upon the altar of science we place the cold equations, and let the data judge. We’re wary of fallible emotions lest they lead us away from objectivity. You can see this in scientific papers, and even in my own blog writing. Stick to the facts, and don’t let emotion show. Of course there is a deep emotional component to my work. I have stood under the Milky Way, moved to tears by its beauty. I’ve felt awe in the sublime elegance of a mathematical theory, and joy in scientific success. Some of the deepest emotional experiences I’ve had were fueled by scientific pursuits. It is those emotions that drive me to pursue science, not cold objectivity. Without an emotional impact I wouldn’t be a scientist. I’m just more comfortable when those emotions are hidden, partly due to my own personality and partly due to my scientific training. Even writing this post makes me a bit uncomfortable. By hiding our emotional side, scientists not only promote the stereotype of being cold an amoral, they also lose a powerful tool. 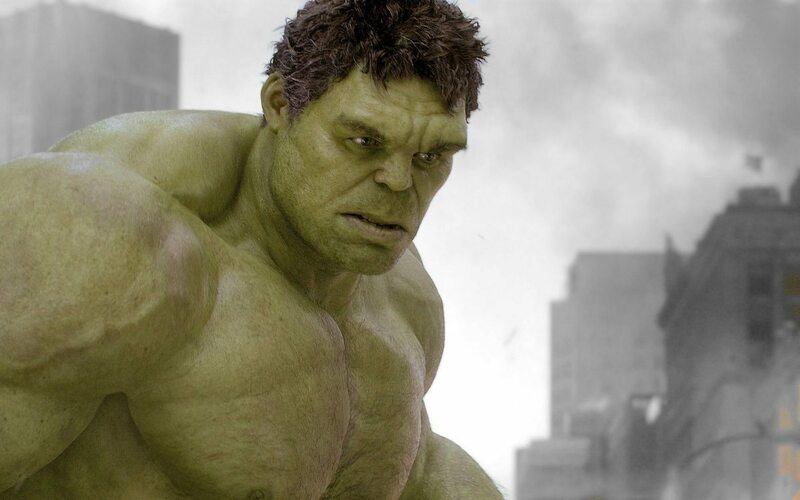 The power of the Hulk can create havoc, but it can also save the world. Likewise, our emotions can motivate us to do good. Rage at the social inequalities within our institutions, joy in the success of our colleagues, empathy to leave the world better than we found it. Emotions can push us beyond our comfort zone, and encourage us to improve our community. And by showing our emotional side we can better connect with the public, and make science more welcoming. We do a disservice to science when we perpetuate the robotic stereotype. I don’t know that I’ll ever be comfortable expressing my emotions publicly, but in the future I’ll try to present more of them in my writing. Because the scientific community and society as a whole will be better off if occasionally we unleash the beast within. Perhaps the biggest enemy of science is an individual’s pride. You can spend hours, days, months, even years striving to understand ideas that are later shown to be false. Science is the process of realizing that things are not as they seemed to be, and probably are not as they now seem. Advancing science means that you have to unlearn, and sometimes un-believe. For example, it is only within the last couple generations that we have come to realize that the entire universe consists mostly of matter and energy that are not even close to understanding. I’m always amazed at how many people I come across who are highly educated, capable of mastering arcane concepts, and yet utterly inept at the skill of un-believing. We always have to ask “how do we know?” If you ask that question enough times, eventually the thought process will take you back to a handful of axioms. If you begin to question those, then you should contact the Philosophy department. Well said. I applaud you for taking the risks of showing your humanity. Those of us who look forward each day to One Universe At A Time certainly see your passion and wonder in your writing. Don’t worry about ramping up the emotional level; you’re coming through loud and clear. You have just said what I have always felt but could not find the words.